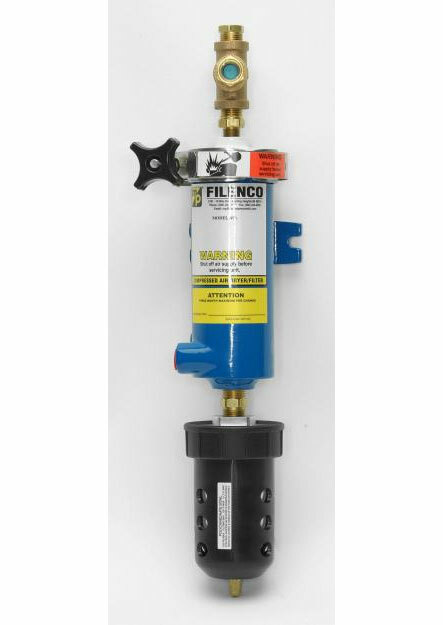 Many compressed air systems require point-of-use cleaning and drying of the air to supplement a central system. 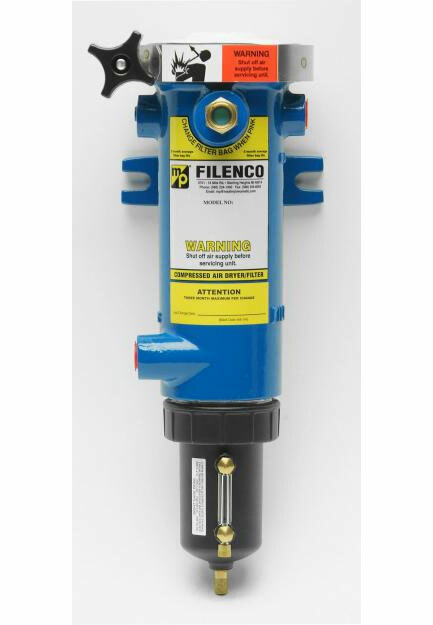 MP-Filenco dryer filter units perform superbly because of their triple action cleaning process and their ability to reduce the pressure dew point. 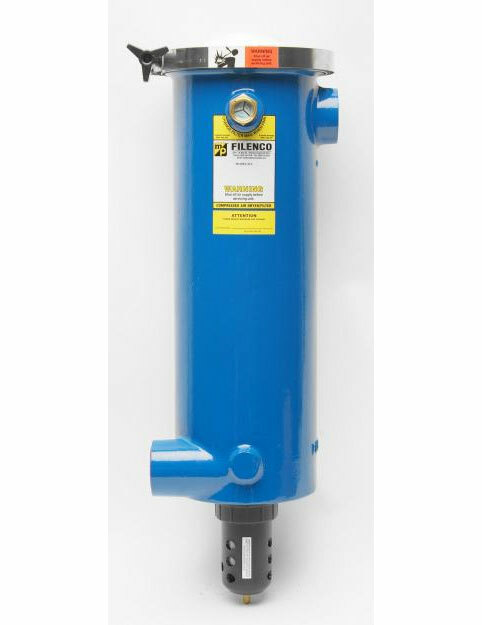 The filtering and drying functions result in super clean, super dry air. 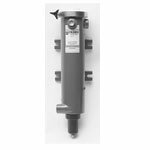 Several drain options and choices of desiccants are available to suit various operating needs. 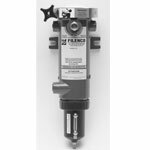 Untis have flanges and front ports for flush mounting. 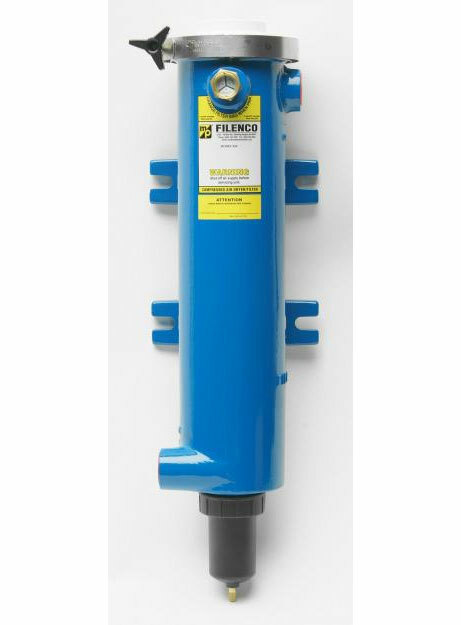 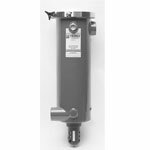 Master Pneumatics acquired Filenco desiccant dryers in 2000, a complimentary product to the Master Pneumatics line. 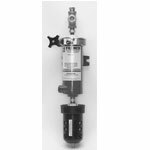 Since 2000 Master Pneumatic has continued to expand it's customer base in the Construction, Food, Beverage and Medical markets.